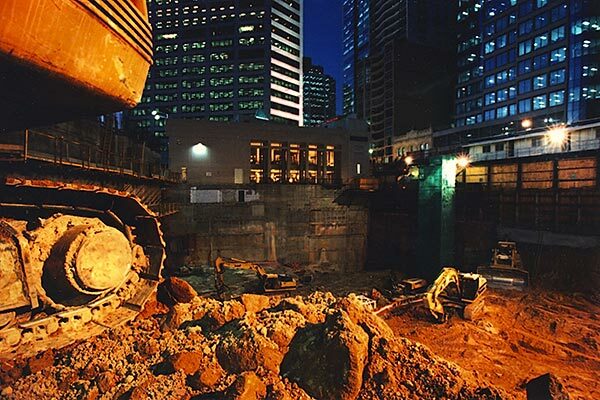 Design & construct shoring systems, excavation, foundations and tunneling for major office building and civic precincts. 10,000 tonne of contaminated waste was treated in accordance with the remediation action plan (RAP), much of it deposited in a registered landfill under EPA guidelines. The total excavation was approximately 60,000m3.